I wish I’d known last summer how to repel wasps naturally. Instead, I wasted a miserable Saturday morning with my swollen arm on ice and spent another three weeks itching miserably. It turns out, I’m a bit allergic to wasps and had no idea. Fortunately, it’s not such a severe allergy that a couple of Benadryl couldn’t handle it, and a friend gave me the helpful tip of adding a paste of meat tenderizer that worked a treat. Since then, I’ve spent considerable time researching how to keep wasps away, because that’s just not an experience I ever want to repeat. Whether you’re trying to get rid of ants, cockroaches, spiders, unwelcome visitors, or wasps, the first step is to deprive them of food. Wasps enjoy sweet-tasting foods and liquids, particularly later in the season. To deter wasps from interrupting your picnic, keep Jello salads, juice and soda cans covered. If you’re dining outdoors, an inexpensive popup tent cover for your food will help. Wasps don’t live on sweets alone — they will also seek out protein sources, so keep your burgers and hot dogs covered during your picnic. Make a habit of cleaning your BBQ grill and emptying its grease trap. Pet foods are also protein-intensive, so keep yours well away from seating areas and consider an automatic pet feeder to dispense just the right amount of food for while keeping the rest well-covered. Garbage cans and compost tumblers often hold a mixture of sweet and protein-heavy foods, so keep them closed tightly. In the case of compost piles, locate yours as far away from your patio and deck as possible. If you have fruit trees in your lawn or garden, keep it picked and discard fallen fruits. Wasps are territorial and don’t like encroaching on others’ turf. Knowing this, you can keep them away with decoy nests, or make your own from well-wadded pieces of brown paper bags. These look so much like old wasp nests that newcomers won’t even think of sticking around! Hang them under eaves, particularly near doorways and windows, deck railings, and even underneath your patio or deck table. Even with food sources covered and nest-building deterred, there will always be a few brave wasps bent on crashing your outdoor party. To keep them from harassing you and your guests, set out a few wasp traps (but not too close to your seating area). You can buy attractive wasp traps that look like decorations, or make your own. Either way, be sure to keep the bait fresh, so the trap is effective. Okay, this isn’t a natural solution, but it works. Have you ever gotten a good whiff of WD-40, that all-purpose lubricant? Stinky stuff. 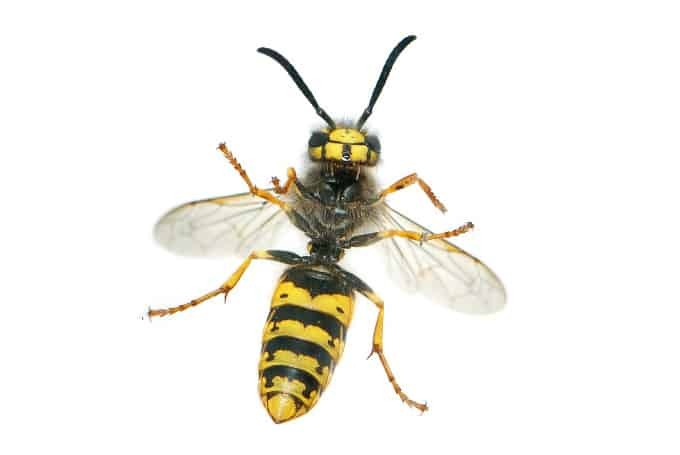 So stinky that wasps don’t like it, and that’s why it makes an excellent wasp repellant. Just before heading outdoors to dine al fresco spray some WD-40 under eaves and deck railings, beneath or on window sills, and around the base of your patio or deck to create a no-fly zone. Like all aerosols, this stuff is flammable as it comes out of the can so don’t spray it near a lit grill or candles. 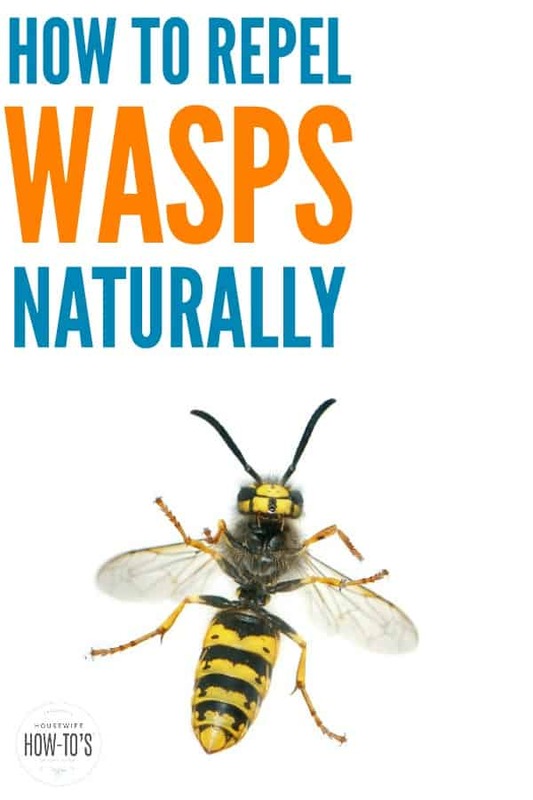 Now that you know how to repel wasps naturally, head outside to enjoy these dog days of summer free of those stinging pests! Thank you so much for your information. These moths have been making me crazy. I thought I got rid of everything that was open but I forgot to wash the walls and shelves in the pantry. Thanks also for the tips about wasps. I am highly allergic to them. I stopped using my deck last year because they were everywhere. I hired a professional and I think the wasps just had good laugh at my expense.